Over the last 200 years scholars have been sifting through the extant evidence to reconstruct the historical story of Jesus of Nazareth. 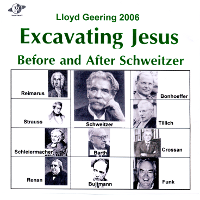 2006 marks the centenary of one of the milestone books, Albert Schweitzer’s The Quest for the Historical Jesus. In these lectures, Lloyd Geering sketches the search and summarises the findings.